Will Ferrell plays the part of elf Buddy with comic genius. As one of Santa’s toymakers, he has always seemed a little out of place. All becomes clear when he finds out that he’s really human and not elf and travels to America to find his real father. The green tights and childish demeanour lead to some hilarious shenanigans as he visits New York for the first time, which is a far cry from the fairy tale world of the North Pole. His antics make for thoroughly entertaining pre-Christmas viewing. Jim Henson’s crazy muppets take on a Christmas classic with Charles Dickens’ timeless tale of Ebenezer Scrooge and the ghosts of Christmas past, present and future. The Muppets do the story justice with a brilliant mix of humour, sorrow, ghostly goings-on and musical theatre. Michael Caine plays Scrooge, so you know you’re in for a treat and he plays it with such a straight face, it’s like he doesn’t even realise his co-stars are animals! 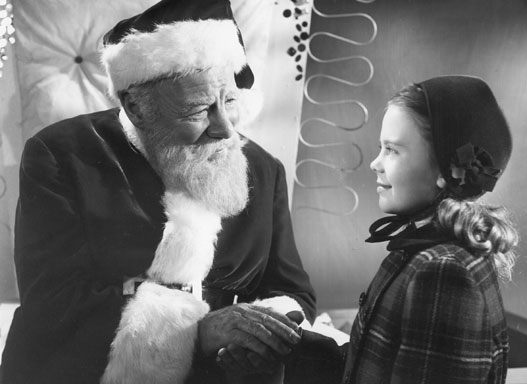 Another older favourite, The Miracle on 34th Street was first released in 1947. The all-star line-up includes Maureen O’Hara, John Payne and a young Natalie Wood. It is a fun film of light-hearted humour and burgeoning romance revolving around trying to prove that Kris Kringle really is the true Santa Claus with the help of the U.S Postal Service. Capturing the spirit of the season, this is a family classic with oodles of imagination, belief, love and friendship. Whilst there have been many renditions of this ultimate tale of the Christmas spirit, one of the best has to be the 2009 version starring Jim Carrey in an animated adventure directed by Robert Zemeckis of Back to the Future fame with motion-capture technology. The film is a whirlwind of colour, imagination and grandeur in a blockbusting take on an old classic. 2009 was a great year for festive films and Robert Zemeckis was also the man behind The Polar Express based on the illustrated children’s classic tale by Chris Van Allsburg. Also using motion-capture technology, Tom Hanks stars in three roles as the boy, the train conductor and Santa himself. It’s a showcase for amazing effects, but as Christmas is all about magic and wonder, what better time to watch a movie that does this so well?